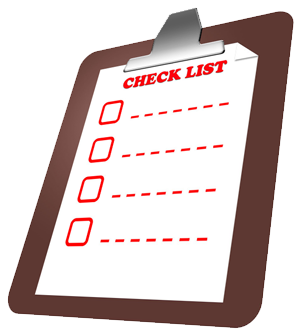 To ensure fast and quality service please be sure to follow this pre service check list. Have all of your Software install disks including: • Operating System Install disks including installation key,• Software for peripheral devices like printers, fax machines, scanners, routers, PDA’s etc. If you have all the software install disks, make sure they are on hand for the technician. Make sure your PC is free of obstructions and easily accessible to the technician. If we are servicing your PC in your home, the responsible party must be present, and must be an adult. For security reasons we ask that any children, pets or visitors avoid the immediate area where our technician will be working on your PC. Changes in appointments should be made at least 24 hours in advance by calling 469-248-0155. For In Home Service be sure that you are home at the scheduled time. We will wait for 15 minutes, and will have to bill you for the first hour.